German Foreign Minister says Poland can rely on his country to condemn distortions of history regarding the Nazi camps. 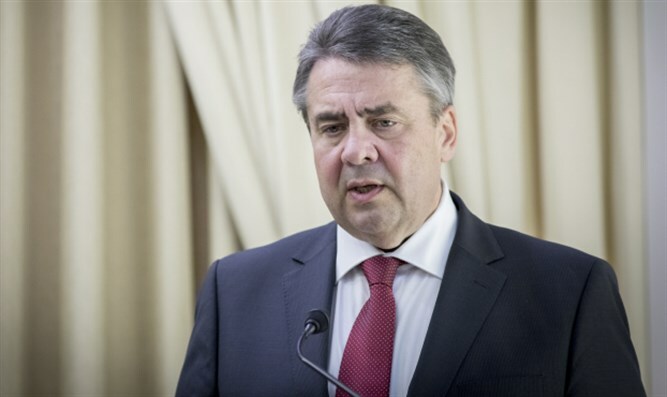 German Foreign Minister Sigmar Gabriel on Saturday related to the controversial Polish bill that would make it illegal to suggest Poland bore any responsibility for Nazi crimes committed on its soil during World War II. “This organized mass murder was carried out by our country and no one else. Individual collaborators change nothing about that,” said the German Foreign Minister. “We are convinced that only carefully appraising our own history can bring reconciliation. That includes people who had to experience the intolerable suffering of the Holocaust being able to speak unrestrictedly about this suffering,” he added, according to AP. The legislation, which was approved by the Polish lower house of parliament and the Senate, still needs the president's signature to take effect. Israel, however, has expressed concern that the legislation relating to the extermination of Jews by Nazi Germany in occupied Poland during World War II, could serve to deny the involvement of individual Poles in the Holocaust. The U.S. also had reservations about the law. The State Department had urged Poland to reconsider the law before the vote in the Senate. On Thursday, the American embassy in Poland said it was “concerned about the repercussions” for bilateral relations of legislation in Warsaw about the Holocaust. Polish Prime Minister Mateusz Morawiecki said on Friday that finding a way out of a diplomatic row with Israel and the U.S. triggered by the controversial Holocaust bill was a "do or die moment" for him. "This is a temporary weakening of relations with Israel and the USA but I hope that soon they will improve as we will explain our position," he was quoted as having told a group of foreign journalists. "As a prime minister this a do or die moment. We will be explaining. It's an important moment," he added.